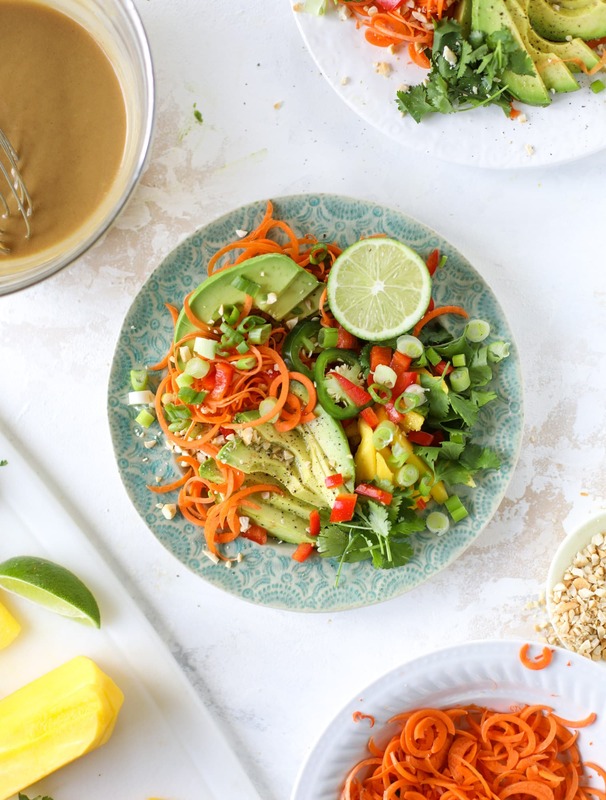 All in a thai avocado salad! 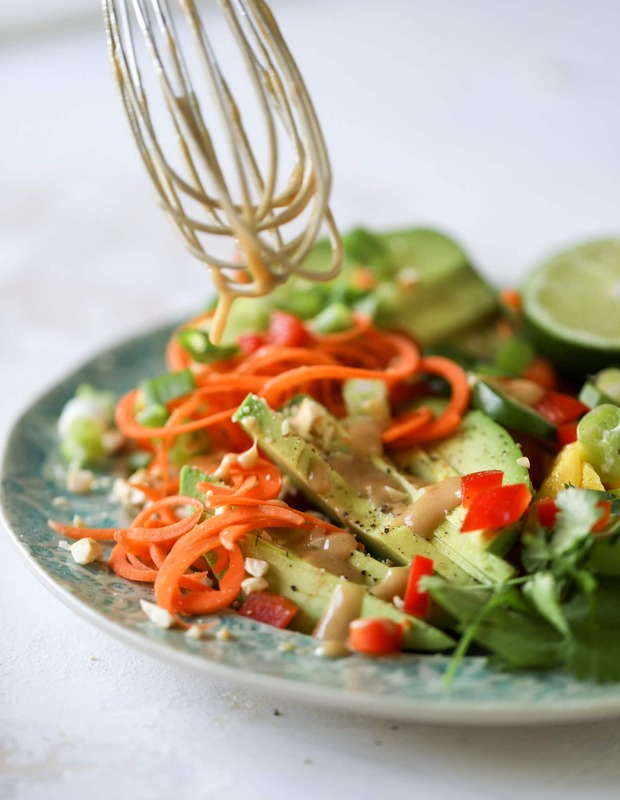 Or shall I say, a thai-inspired avocado salad. Yes yes, that’s much better. This avocado salad is LOADED. But simple. But full of flavor! And easy. Lots of other good things like red peppers and cilantro and jalapeño and lime. Tastes like freaking HEAVEN. I get ridiculously excited that we can make something like this at home in our kitchens. It’s really fantastic and it tastes fancy. Spoiler alert: it’s soooo not fancy. But really, there is so much room to do something here. So many meal options. The peanut butter dressing is more like a vinaigrette than a thick and creamy dressing. I mean, it is still creamy from the peanut butter but it’s a lighter dressing than the one from this chicken salad. It’s drinkable. Seriously. You won’t be able to stay away! You know I’m all about the CRUNCH so this little salad here is perfect for my texture-loving brain. There’s a little heat. A little sweat. And it’s satisfying too! It reminds me of a (much less intense) version of the spicy rainbow salad. Just with ALLLL the avocado. On a plate (or 2 plates! ), combine and/or layer the avocados, carrots, green onions, mango, red bell pepper and jalapeño. Drizzle on the peanut butter vinaigrette. Top with the cilantro, peanuts and sesame seeds. Whisk together the vinegar, peanut butter, lime juice, honey, garlic and sesame oil until combined. Whisk in the grapeseed oil until smooth. Whisk in the salt and pepper. Just set me in that little avocado nook. 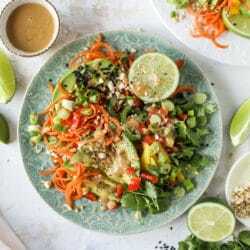 Hi, this looks incredible… Is it keto-friendly? Perhaps with less carrots, mango, and honey? 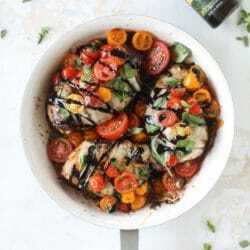 Any idea what the carb count is with the recipe as-is? thanks kat! i’m not completely familiar with keto, so i can’t say for sure! Also, I LOVE a good lettuce-less salad. Def can’t beat that. Divine dish, yet again. I am adding those Ingredients to my next shopping list! Yum! This looks so healthy & delicious! This looks so tasty! Love your recipes – especially your vegetarian/pescetarian. Thanks for keeping it real with the Step Brothers reference, too. Made this tonight and it was delicious. Dressing even received a thumbs up from the hubs. Hi, Jessica thanks for sharing the wonderful information regarding ice cream cake. You are truly amazing and inspiration for many Indian so India loves you because we are a big foodie but somehow we left it because of the work but I will try some recipe form it by myself surely then I will tell you how it is but you are too good to keep continuing good work. If you want to learn about Online Marketing then just visit Digital Marketing Course in Delhi. Does the grape seed oil add to the flavor/texture? Or can it be substituted for another light tasting oil? Thanks! Love your recipes! Made this for an Asian-inspired dinner last night with friends. The sweet of the mango plus the spicy of the jalapeno was a big hit. Not difficult to make; just lots of chopping, which is to be expected when making a salad from scratch. Would totally make again and works nicely year-round.